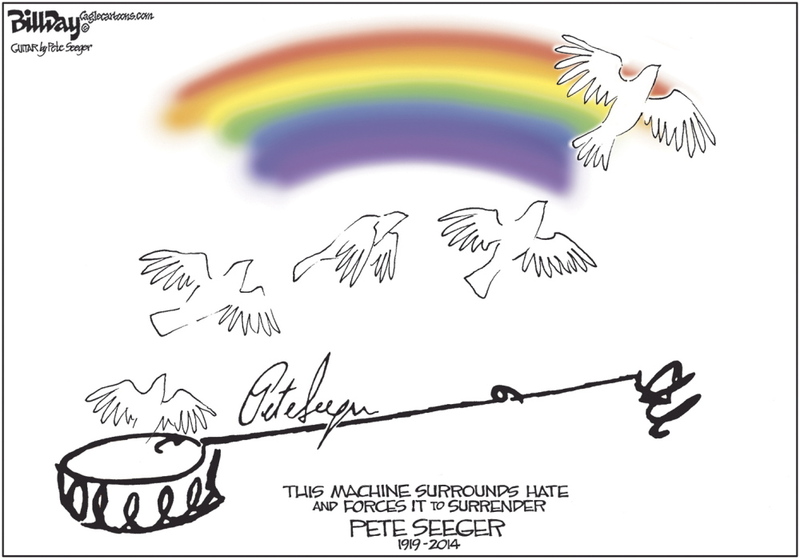 Fifty years ago, school rooms, churches and countless open-air assemblies around the country resounded with words arranged and adapted by Pete Seeger. The song became the anthem of the civil rights movement. It united black and white. It carried emotional weight. It moved a generation. And to think of it, the song was only one of many that Seeger, who died Monday night at 94, made famous, and invited others to sing along, in a life devoted to social and political change. I first heard Seeger in concert in 1965, in Boston, around the time I was learning to play the guitar at the height of the folk music revival he helped to spread. To many of us, he was an avuncular figure, who spoke truth to power and gave voice to peace and community at a time of high anxieties. He was past the nastiness of the red-baiting years of the 1950s and early ’60s and his conviction (later overturned) for refusing to testify before a congressional witch hunt. He was a consistent resistor of injustice. With his pal and fellow singer/songwriter Woody Guthrie, he sang out for equality and worker rights. He sang out against the Vietnam War (“Where Have All the Flowers Gone?”). He sang out against environmental degradation, especially along his beloved Hudson River Valley in New York. As recently as 2011 he marched and sang with Wall Street occupiers (“We Shall Overcome,” of course). 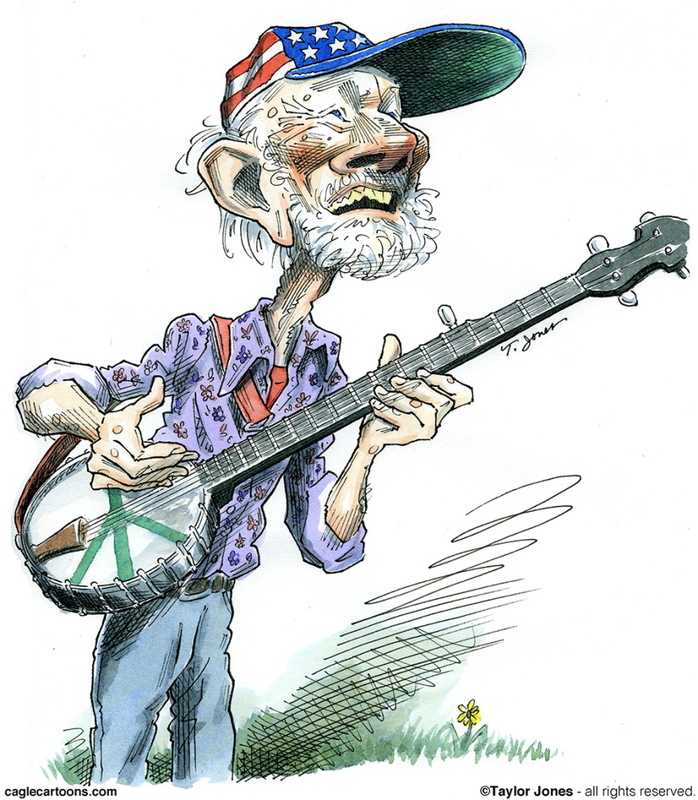 Seeger championed folk music traditions. He recycled traditional and gospel songs. He was a master of the five-string banjo. He was none too pleased when Bob Dylan electrified what had been an acoustic-instrument approach to folk. He once had the brilliant idea to adapt passages of the Book of Ecclesiastes into a powerful lyric: “Turn! Turn! Turn!” (“To everything there is a season …”). I still get chills when I listen to the Byrds’ version (yes, electrified) of the song. Whether they know it or not, Seeger’s legacy still rings in the songs that young people sing around the world on behalf of peace and justice and overcoming. Steve Paul is a columnist for the Kansas City Star. Email at [email protected] This column was distributed by MCT Information Services.